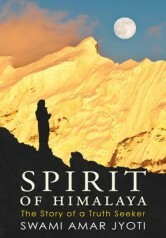 The awe-inspiring adventures of an advanced seeker in the Himalayas and plains of India reveal profound truths about the role of the Satguru and the Yoga path to Enlightenment. 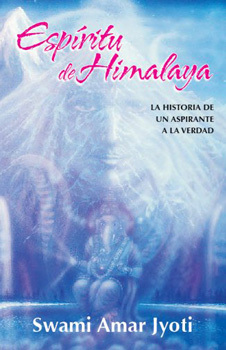 Revised edition printed in India. Be mindful that no Master, however capable can help a disciple unless that disciple helps himself by his own willingness and efforts. If you were simply a blind follower you could not have accomplished all this. The task of a seeker is not merely to acquire the mechanics of certain techniques but to be. The correct psychological disposition is achieved only after you grow out of a sense of selfishness. Swami Amar Jyoti has achieved a striking originality in his expressed talent not just for telling a story but also by enlightening his readers at the same time as he heightens their curiosity and enthusiasm. For its sincerity, originality and philosophical clarity this book deserves to be read again and again. Don’t miss it. Appealingly written…a powerful lesson of the trials that come before the calm. A beautiful story and an easy, wonderful way to absorb great and powerful truths. Gives the feeling of quietness and reverence for a truly spiritual journey.